What happens if a network request is made using RxJava & Retrofit, a user rotates the phone, and the request hasn’t completed yet? By default, the Observable will be recreated, the request re-requested, and the previous data lost! In this article we’ll take a look at a solution to this common problem when using RxJava with Android. I call this the Repository pattern, which is a pragmatic way of fitting RxJava into the Android lifecycle so that the UI and data layer of your app can stay in sync with one another. We’ll solve the problem of how to cache data previously processed by an Observable and replay it when the activity that hosts it is recreated.We’ll learn it by example via a small sandbox application called Stockwatcher. To follow along, you can clone the repository here. One small gotcha—once you open Stockwatcher in Android Studio, make sure you’ve installed the Lombok plugin. Stockwatcher uses Lombok to remove a lot of the boilerplate our plain old Java would otherwise require. The readme for Stockwatcher will guide you through how to install the Lombok plugin if you have never done it before. Stockwatcher allows wolves of Wall Street to request current stock information for valid symbols, so that they may then make informed stock market decisions. Here, we’re using the Market On Demand Market APIs REST service as a back-end. Now the central focus of the article: how will we handle a rotation, amidst a request for stock data that’s in-progress? Notice how Stockwatcher handles this common RxJava/RxJava problem with ease? How did Stockwatcher accomplish this? To understand, we first need to take a step back and examine a couple of key classes the project includes. We’ll start by taking at look at how the dependencies have been defined for Stockwatcher. Up first, the AppModule class. Stockwatcher wires up its dependencies via the Dagger 2 DI framework to keep things easy to manage and test. Dagger 2 introduces two unique concepts, Modules and Components. Modules define how specifically we should construct the objects in our program, and Components will define which classes make use of the injected objects. Notice the provideStockDataRepository method? This StockDataRepository class will wrap over our StockService class, the class which actually makes the API requests. This is a standard Retrofit service definition. Note that we mark it as a @Singleton so that it can hold onto the state of the results of each request. When we request a Repository object in our app, since we’ve annotated it as a @Singleton, we’ll get back the same object if it’s been instantiated already. As you can see, StockDataRepository serves as a bridge between Service and UI layers. We will use it to manage caching Observables, and the events individual Observable instances have emitted. Let’s dig into StockDataRepository to understand how the UI state and data are kept in sync with one another and how the caching works. StockDataRepository’s job is to manage caching results from service requests made by StockService and to hand them back to the Fragment it will be used within. Fragments will request data from the repository (by subscribing to the Observables it manages), and the repository will save the Observable instances so that they can be subscribed to and played back as Android UI changes take place in the Fragment/Activity layer. //return a single symbol from the list of symbols, or an error to catch if not. The stockFragment will call this method to subsequently kick off 2 requests: lookupStockSymbols, and fetchStockInfoFromSymbol. The cacheObservable method is our main interface into the functionality the StockDataRepository is responsible for: keeping an instance of an Observable in a cache and returning it when we ask for it. Instead of beginning anew with a brand new request, we’ll cache the observable in an LRUCache, and hand that back so we can update the UI with the cached observable instead. Notice that in the above excerpt from StockDataRepository there are actually two levels of caching going on? One is cacheObservable, which returns a cached observable instance from the LRUCache that was initialized in the BaseRepository. The second is the .cache() operator, which instructs that Observable instance to record and then play back events it has previously emitted. Without the .cache() operator, rotation would work correctly, but we wouldn’t actually replay any of the events that had been previously emitted in the last subscription. Up next we’ll take a look at the StockFragment itself, where the request will be triggered when the user provides the symbol they would like information for. Here, we hand the user input to the Repository object, which then makes the request when the user clicks the button. Notice that all of the requests for data occur within loadRxData()? Whenever resubscription is required, if we follow this rule, then we’ll be able to simply call loadRxData(). Now, we’ll look at RxFragment, the superclass for StockFragment. We will use this abstract class as a superclass any time a fragment should work with Observable data from the repository. This is the key to allowing the Repository object to play back its cached results in the case where a user rotates the device while we’re making a request with RxJava and Retrofit. If isRequestInProgress returns true, loadRxData() is called. loadRxData() will then subsequently fetch the data from the Repository cache, and will re-register to update the UI upon completion. This is what configured the behavior of setting isRequestInProgress when the subscription begins and set it to false upon completition. 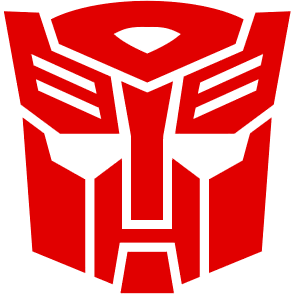 If you have not discovered Transformers (of the non-autobot variety) yet, they are a great way to apply a uniform set of changes to Observables in a generic way, so we’ll use them. By the way, if you’re new to Transformer and the compose operator, a good start to understanding is Dan Lew’s article on what they offer and why you will want to use them: Don’t Break the Chain. Notice the applyRequestStatus method? We composed an RxJava transformer onto the Observable to manage the isRequestInProgress boolean depending on the lifecycle of the request’s progress. Upon subscription, any Observable with the applyRequestStatus composed on it will call setRequestInProgress(true) on the RxFragment it was passed, and upon termination (when the subscription completed and is unsubscribed) will call setRequestInProgress(false). When RxFragment is instantiated, it will use this value to determine if loadRxData() should be called again to resubscribe to the Observable. Since onResume will be called in the normal Android lifecycle for the fragment, Observable subscriptions will be resubscribed if they are required. This means rotation will be correctly supported with the Observables we created and added to the Repository cache, and will play back their events. If you’ve followed the example and understood the Stockwatcher codebase you have now seen an approach for allowing RxJava to work with device rotation support and data caching on Android. Now you should be free to worry less about manually dealing with the edgecases of whether a subscription has been completed or not when the fragment or activity is destroyed and recreated. By caching the Observable in the model layer and fitting the Observable subscriptions into loadRxData we have a general purpose solution that will fit Observables into the Android lifecycle. In the next article, I will be showing a solution to another often needed yet strangely elusive pattern: how can I test the RxJava and Retrofit based service layer of my Android app, with mocked API responses? If you’d like to test the whole networking stack but provide canned responses from the server API instead, check back soon! And, as always, please share your comments, insights, and thoughts about the RxJava Repository pattern. Submit pull requests and get in touch with your questions, code refinements or ideas!